As we age our collagen production begins to decline, which leads to the breakdown of the skin’s underlying support structure. Daily exposure to UV rays and other environmental elements can cause the skin to become discolored, and premature wrinkles may emerge. Treatments with a fractional CO² laser can give your skin a smoother, tighter texture and pigmentation problems will begin to diminish. How Does CO2 Fractional Laser Technology Work? The Matrix high-speed UltraFine Fractional Scanner directs a grid pattern of tiny pulses of light at your skin. Each pulse delivers a column of energy that can reach the skin’s dermal layer. This stimulates a natural renewal process of the body’s own collagen. 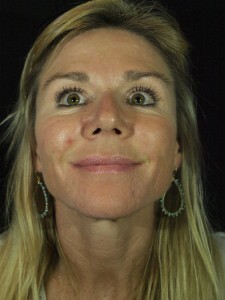 And because the laser beam has been fractionalized, small areas of untreated skin will be left between the treated spots, accelerating the healing process. Matrix Fractional CO² technology is designed in such a way that the treating technician has precise control over the intensity of the treatment. Dr. Marvel will discuss with you the possible benefits and results associated with the fractional CO² laser and develop your personalized treatment plan. Your treatment will be tailored to your desired results and your downtime availability. What will my CO2 laser treatment feel like? Treatment sensations vary from person to person. As tiny pulses of energy are delivered into the skin, most patients experience a warm, sharp feeling and an immediate tightening of the skin. Anesthetic ointments and cooling devices may be used to reduce any discomfort during and after the procedure. 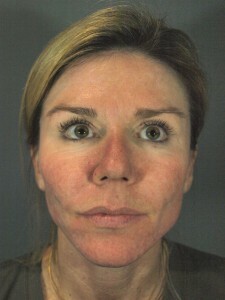 You may look and feel like you have a mild sunburn for a few days after the treatment. Post-treatment care will vary from patient to patient, depending on your desired outcome. Most patients that have a full facial skin rejuvenation treatment will need to stay indoors for a few days while applying a topical ointment as directed. Once your new skin emerges, you must wear sunscreen every time you go outside. Why the Matrix Fractional CO² laser system? Dermess Renewal has chosen the Matrix Fractional CO² laser system because of its precision its and reliability to safely deliver desired treatment outcomes. 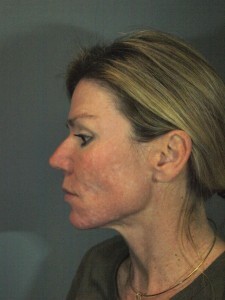 Dermess Renewal is offering a full-face Matrix Fractional CO² laser treatment for $2500. Schedule your consultation today! Smile…CO2 Is What You’ve Been Waiting For! This entry was posted on Friday, May 27th, 2011 at 8:18 am	and is filed under Lasers. You can follow any responses to this entry through the RSS 2.0 feed. You can skip to the end and leave a response. Pinging is currently not allowed. 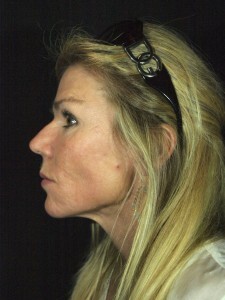 « Total Facial Rejuvenation: Facelift, Fillers and More!